Changes are coming at Spotify. 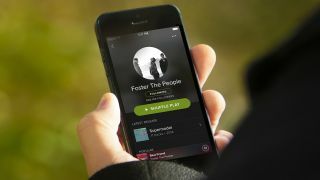 Trying to keep the record labels and music fans happy all the time is not an easy challenge for Spotify and this weekend there are fresh reports that the service is planning to wall off some content so that only premium subscribers can get to it. We're talking an exclusive window for big new albums - those who are paying their £9.99/$9.99 a month would get first dibs on release day and then the music would eventually filter down to the free tier of the platform. Right now, the same tunes are available to both sets of users, though with some listening restrictions in place for those who don't pay. Sources speaking to Music Ally have hinted that Radiohead's A Moon Shaped Pool was in line to be the first such 'windowed' album release but that Spotify couldn't get the technology ready in time. Radiohead's newest long-player is belatedly coming to Spotify from 17 June. "We are always looking for new ways to create a better experience for our free and paying listeners, and to maximise the value of both tiers for artists and their labels," Spotify's Jonathan Prince told Music Ally. "We explored a variety of ways to do that in conjunction with the release of Radiohead's latest album." It would seem that the big hitters of the music industry, like Taylor Swift and Beyoncé, are keen to see a premium paywall put in place - pay your subscription fees or you'll have to wait a while before you hear the newest music. We reported on similar rumours at the end of last year. "Some of the approaches we explored with Radiohead were new, and we ultimately decided that we couldn't deliver on those approaches technologically in time for the album's release schedule," added Prince. ""We're going to keep exploring innovative release strategies and related tests in the coming months."